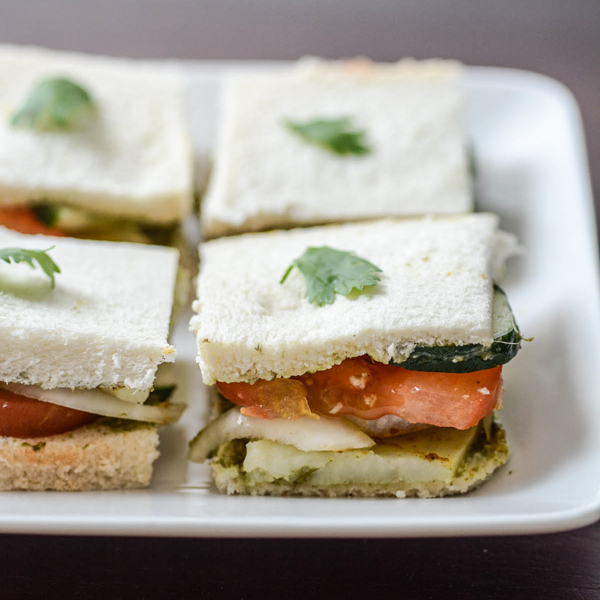 There can be a variety of anday walay sandwiches that you can make. 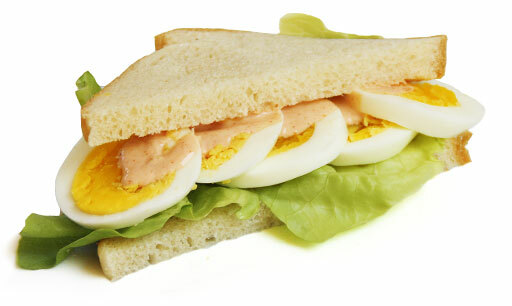 Be it boiled egg or scrambled or omelette, make your favorite anda, take 2 bread slices, put some ketchup and mayonnaise on them, spread the egg along with cucumber and tomatoes [if you lile] here you go! The best-est sandwich ever is ready! All you need is some cheese and bread slices. This one is my personal favorite as it’s not only easy to make but tastes divine. 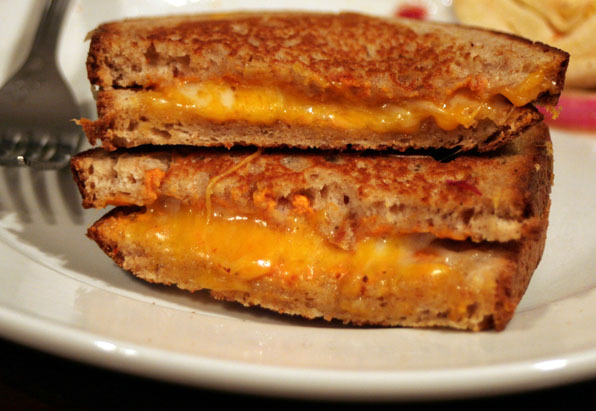 Half grill the bread slices on griller or a pan, now put your favorite cheese on it [preferably cheddar cheese slice]. Season it with pepper and salt; now grill the sandwich on griller properly. Cut into half and here is the cheese oozing sandwich ready to make your tummy happy. If you cannot find anything else in you fridge, don’t worry, you still have hope to make a sandwich. Cut tomatoes, potatoes and some cucumber into slices. Fry the potatoes and season them with salt, pepper and chaat masalah. 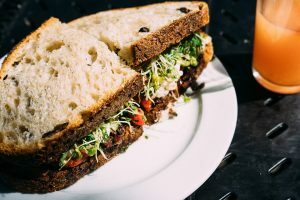 Put some mayonnaise or barbecue sauce on bread slices, spread on the fried potatoes, not put some ketchup on the potatoes, layer tomato slices and cucumber, here is a complete veggie sandwich with lots of flavors ready to serve. I tried it a few days back when I had no money in pocket to order something online. I took some chicken nuggets, fried them and crushed them. Take some mayonnaise, ketchup, mustard sauce and pepper in a bowl, mix the sauce properly and add crushed nuggets in it. Spread the mixture on the bread slices and grill it. You can also make it as an open sandwich, top it with some cheese and put the slice in oven for 3 to 4 minutes. IT WAS THE BEST EVER SANDWICH I EVER HAD IN MY LIFE. 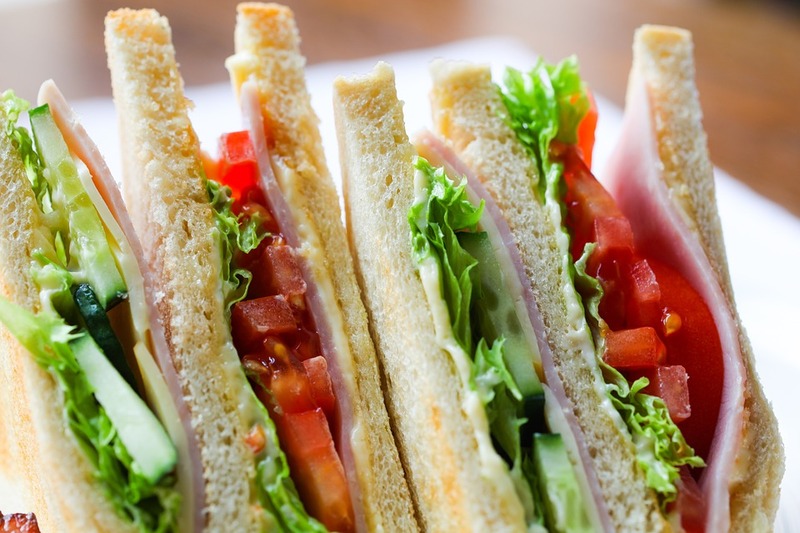 So if mid-night hunger is the only problem of your life and making these easy sandwiches is also not your cup of tea, then you know who to rely on, Yes Supermeal Pakistan is always curious to help you out whenever you feel damn hungry. We are just a click or call away so log on to www.supermeal.pk or Call 021 111 775 775 to order your favorite meal.